SuperFogeys - Fan Art: Space Pig by Frank Jordan! This was a slightly late entry to fan art week, but this Space Pig piece from Frank Jordan is too stellar to not share. 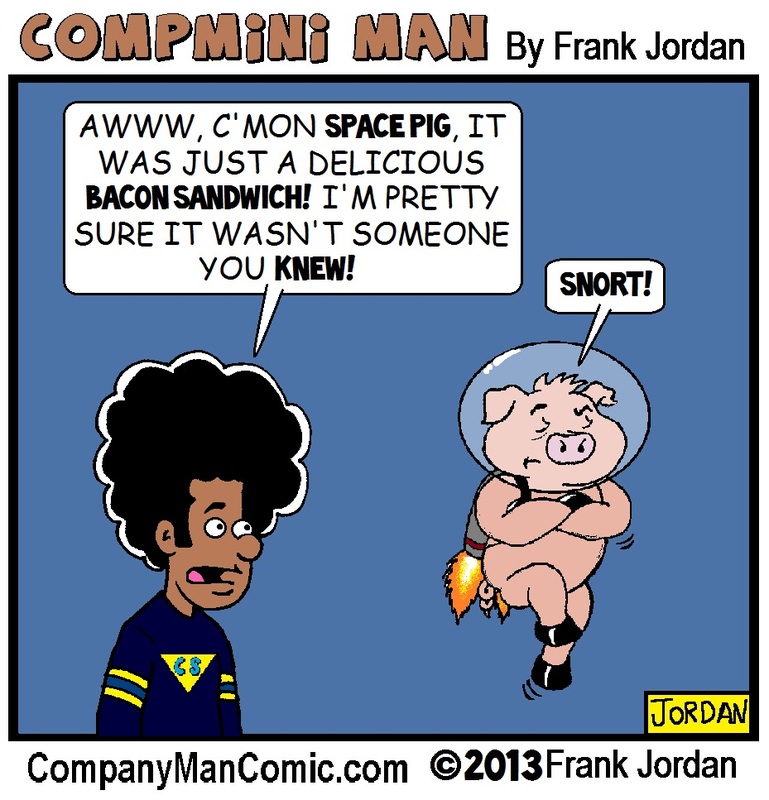 Be sure and check out more of Frank’s work at his hilarious workplace webcomic, Company Man. Ha! Thanks for running this, Brock! Who doesn’t love Space Pig? I wanna know where he got that CS sweater.